Now that I’ve moved to a third floor flat, I am without a garden of my own. This is offset somewhat by my allotment and we have a shared garden, but it’s overlooked by several large trees. This makes for wonderful bird watching – I appear to have become an accidental twitcher – but means that the garden is darkened, covered in leaves, and any plants would need to compete with lots of tree roots so it doesn’t bode well for much growing. So, to satisfy my green fingers, I want to bring some of the outdoors into our home. 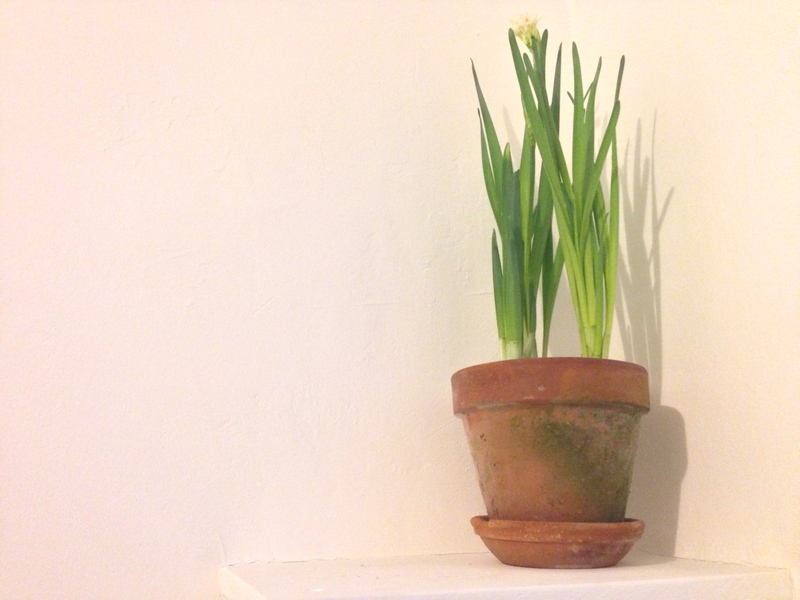 The first thing I did was plant ‘Paperwhite’ bulbs into little terracotta pots. I have a handful of these around the flat and they’ve brought a bit of cheer and a heady fragrance into our home. Although you can force these in the dark, I just left them in my mother’s greenhouse for a few weeks and they’ve flowered quite quickly. I love that the bright green shoots are mirrored in the green that has grown on the old terracotta and they look wonderful against the pale walls; a touch of next Spring in the early days of Winter. I’m currently reading through ‘The Virgin Gardener’ by Laetitia Maklouf again, which has some great ideas for gardening without a garden. I’m going to have a go at growing succulents, as I was really inspired by the Alpine House at RHS Harlow Carr earlier this year. 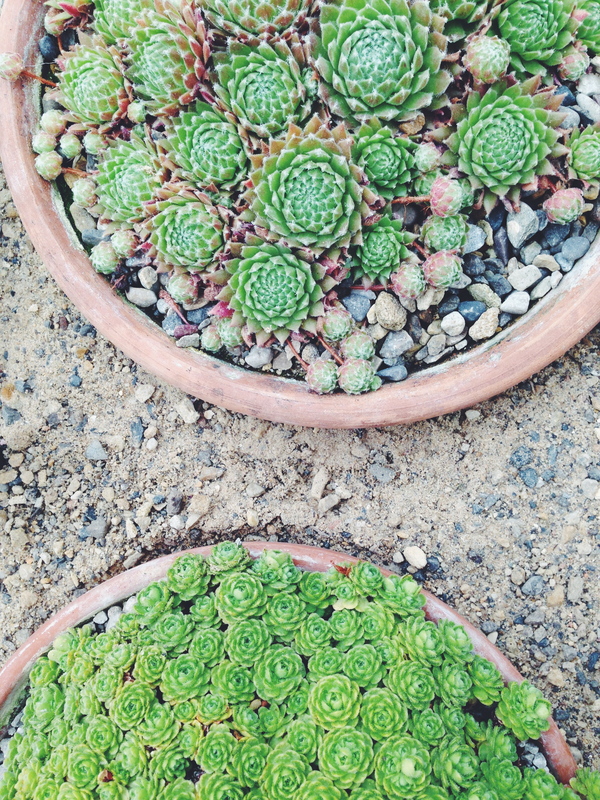 The structure of these little plants fascinates me, and they’ll be a great way to add greenery to our home. There will of course be herbs in the kitchen, but I’m on the lookout for the best plants we can have in the rest of our home too. I’m after plants that will last well, help clean the air, cope with the temperatures and look great too. I’ll be doing a spot of research over the next couple of months, but if you’ve any fabulous suggestions, do let me know!